Kenmore stacked laundry centers offer a clothes dryer that is stacked on top of a washing machine in order to fit into smaller spaces, such as apartments, bathrooms, closets or dormitories. The stacked washer offers several wash cycles and variable water levels, while the dryer has an automatic drying sensor and energy-efficient temperature and time options. 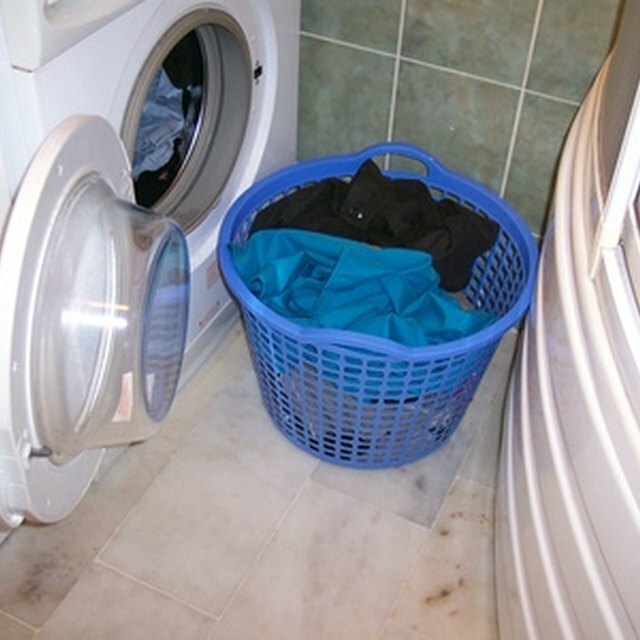 While the stacked laundry center should operate well with basic care and maintenance, problems can still happen, such as if the washing machine does not drain or spin. Some troubleshooting methods may help users resolve this issue. Stacked washer and dryer centers can be useful in small spaces. Verify that the Kenmore stacked laundry center is firmly connected to a working power outlet. Reset the circuit breaker if needed. Do not plug the electrical cord into an extension cord, as this cannot provide enough power for the unit. Ensure the washer lid is firmly shut and latched into position. The washer cannot spin if the lid is open. Reduce the number of items inside the washer, as an overloaded washer may not spin or drain adequately. Examine the drain hose and remove any obstructions from the hose. Straighten the hose. Contact an authorized Kenmore service technician if these steps do not resolve the issue.